Portable podium is lightweight and easy to use! Also easy to move around and adjustable. 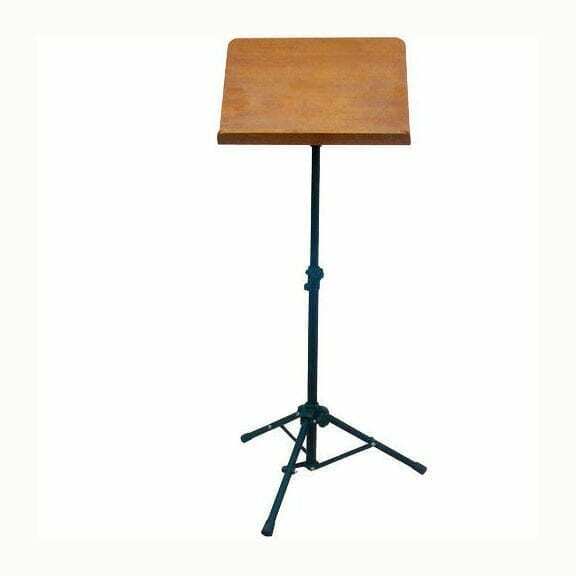 This stand can be used as a lectern, podium, or music stand! For a premium feeling this rental has a heavy duty wood bookplate with a beautiful finish. The adjustable height of the tripod, allows the speaker to use it at sitting or standing level. Therefore it can be used at a variety of heights and a variety of uses. Perfect when you need a portable podium that is easily taken down.